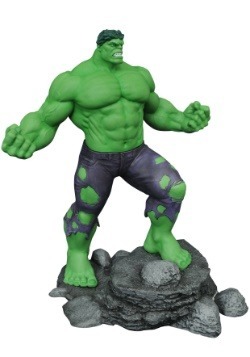 Most know that when the Incredible Hulk stubs his toe and gets into the beginnings of his frustrations that it is going to be a downhill rampage to doom unless something can be done to calm the big guy down. And, that doesn't usually go well. Imagine the last time someone said, "Just calm down." Yeah. Now imagine that you literally lose your mind every time they say it. 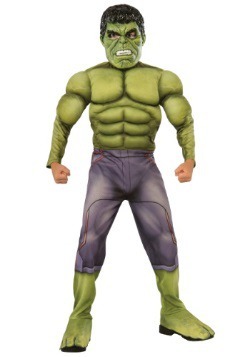 Eventually, even Black Widow isn't able to get the Hulk back to Banner, so we have to turn to other options. 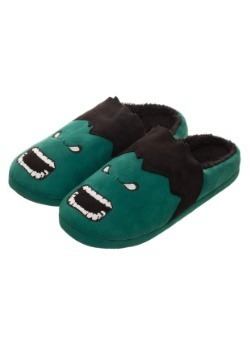 The best thing to keep a temper in check is some really comfy PJs. It's science, actually. Banner's best invention is now available for public use. 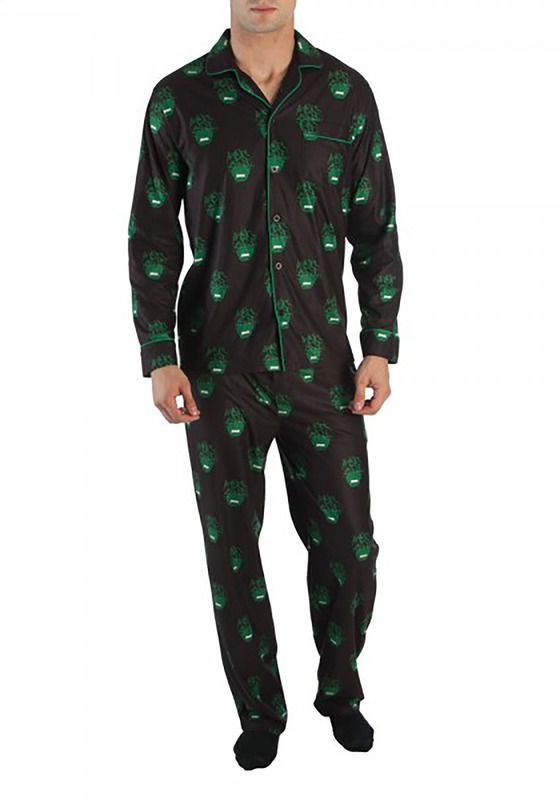 Get your officially licensed Marvel Hulk All-Over Print Pajama Set and feel the comfy brushed flannel fabric do its work to wash away the rage. 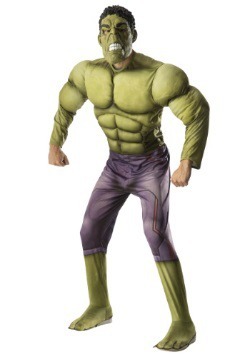 The drawstring pant and button up top makes for easy wear while the repeating Hulk face will do wonders to elevate the mood. After so many stress-induced transformations, we can only speculate on the price of Banner's pant budget. (Actually, he's lucky that he wears a pair that lets out easy or those comics would need serious censoring.) We suspect his real trick is wearing comfy pajama pants like in these Marel Hulk Pajamas!